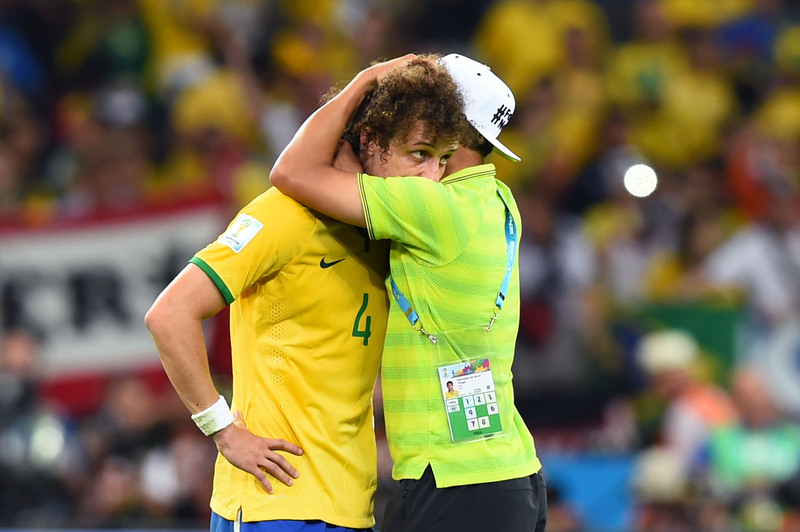 The secondhand shame from the Brazil versus Germany World Cup match still hasn't faded. For those who haven't been following the World Cup, Brazil lost to Germany 7 to 1 in the semifinals. Yes, they lost by six goals, five of which Germany scored in the first half of the match. It was even more painful to watch than it is to think about, but the fact of the matter is that Brazil is out of the World Cup and Germany is going on to face either the Netherlands or Argentina in the finals. Their victory was so brutal, so swift, and so unbelievably crushing that the match broke the record for most tweets per minute as people rushed to express their amusement/dismay/Photoshop skills with as many one-liners and memes as possible. While this game marked a resounding victory for the German team, the likes of which they'll probably still be bragging about to their children's children's children, it was kind of horrifically embarrassing for the Brazilian team. Like change-your-name-and-move-to-the-States level embarrassing. Like ignorantly walking around with the back of your skirt half-tucked into your underwear level embarrassing. Like the fourth Transformers movie level embarrassing. In fact, we've come up with a list of things that are actually less embarrassing than a 7 to 1 loss to Germany in the semifinals of the World Cup, because, well, someone had to. Sorry, Brazil.